MVP/VIC, Boxtops, and Labels for Education - Welcome to TMSA's PVO Parent Connect! Greetings Tigers! 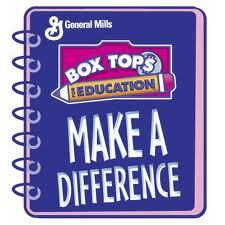 We have already earned over $1300 this year collecting Box Tops. Let's keep up the good work!! There is a K-3 and 4-11 contest for the next turn in on February 14th. The collection sheets are attached below. Let's make some EASY money to be used for stuents and staff needs at TMSA!!! To learn more information and sign up to support our school click the two buttons below to be linked directly to the Box Tops website and Marketplace. To find helpful hints, please open the document below the website buttons below. Did you know that we can earn points from Campbell’s? Did you know that these points can “buy” resources and equipment for TMSA? Did you know that Campbell’s is more than just soup? Check out this list of all Campbell’s products that carry the Labels for Education coupons. Currently many Campbell’s products have bonus points on them for Back to School shopping. I received an e-mail from Mrs. Harris that she found boxes of Goldfish snack packs at Wal-mart. These boxes had 100 point coupons on the box and then each bag has a coupon on it! Now is the time to stock up! Make sure when you are clipping the Labels for Education coupons that you cut out the entire coupon. We must submit a complete coupon, the LFE logo AND the bar code, to get credit for it. Be sure to get your family and friends involved in clipping for you. When Tigers work together we can accomplish great things for our school! GO TIGERS!!! It's time to relink your Harris Teeter VIC card! The VIC cards must be linked every August in order for TMSA to continue to receive EASY MONEY from your Harris Teeter and Food Lion purchases. If you have already linked your Food Lion MVP card in previous years, you do not have to relink it. If you have not, please link your MVP card to TMSA as well. Our school number is displayed below the pictures or you can follow the links below to put in your card information to link them online.